The new year brings updated styling and improved aerodynamics for Maserati's flagship grand tourer. 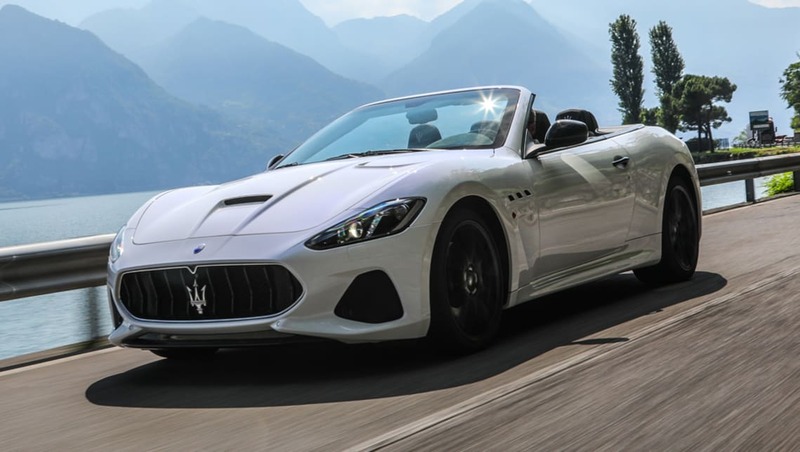 The new Maserati GranTurismo and GranCabrio have landed in Australia with two variants now available for each, dubbed Sport and Maserati Corse (MC). 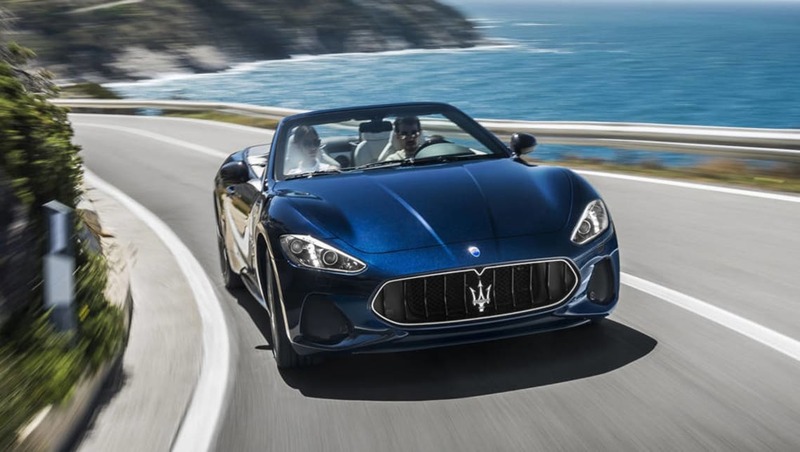 The entry-level Sport starts at $295,000 before on-road costs for the GranTurismo, and $335,000 for the drop-top GranCabrio. Jumping up to the MC version commands a premium of $50,000 and $20,000 respectively. 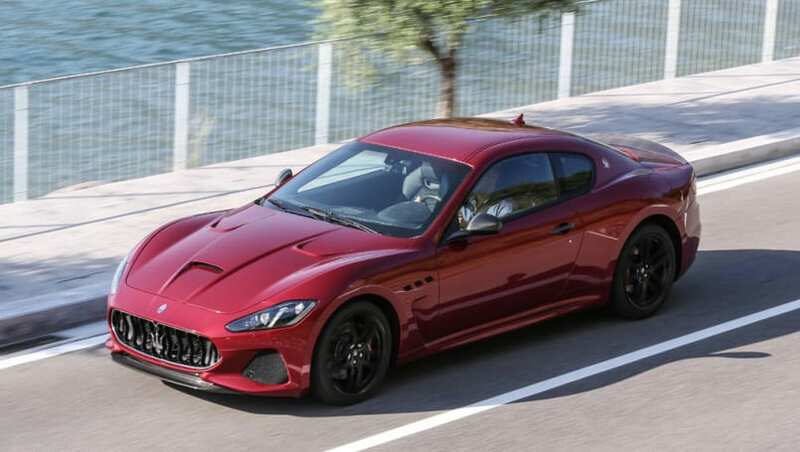 For 2018, Maserati's luxury grand tourer has received a handful of styling changes including a new front end with redesigned headlights, lateral air ducts and a more aggressive front splitter. Maserati's luxury grand tourer has received a handful of styling changes including a new front end. The rear bumper has been redesigned to house new central diffusers which differ between models. Maserati says the new aero features help lower the drag coefficient from .035 to .033 for the GranTurismo and from .033 to 0.32 for the GranTurismo. 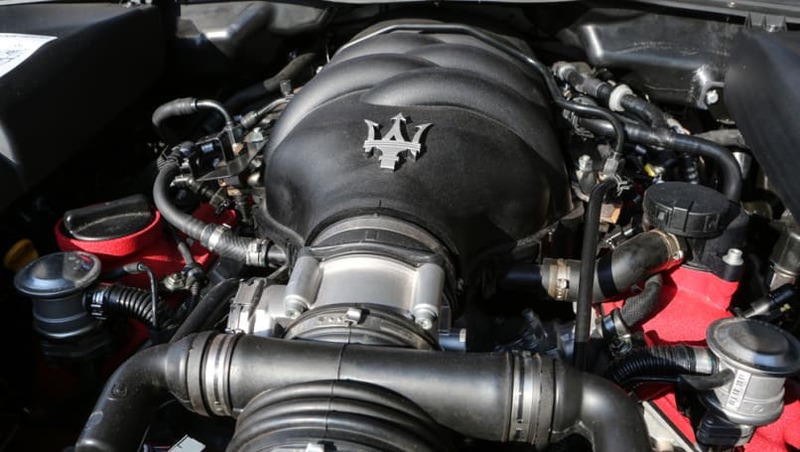 While both versions share the same 4.7-litre V8 and six-speed automatic transmission, the MC, which replaces the MC Stradale, tops the range with a better suspension, equipment and trim. Exclusive to the MC is a carbon-fibre bonnet with 'downforce-optimising' air vents, 'deep functional' side skirts, titanium brake calipers (black in the Sport) and 20-inch 'Trofeo Silver' forged wheels which are now 10 per cent stronger and lighter than before. The rear bumper has been redesigned to house new central diffusers which differ between models. The Sport gets oval-shaped exhaust outlets at the edges of the bumper, whereas the MC gets round outlets that exit through a central, transparent diffuser. Maserati says the new aero features help lower the drag coefficient. The MC's exhaust system is lighter and racier than the base model's, with a silencer bypass valve that engages when the car is in Sport Mode. This increases volume, and in theory, betters performance. Five selectable drive modes can be accessed on the MC variants. The changes up front include redesigned headlights, lateral air ducts and a more aggressive front splitter. 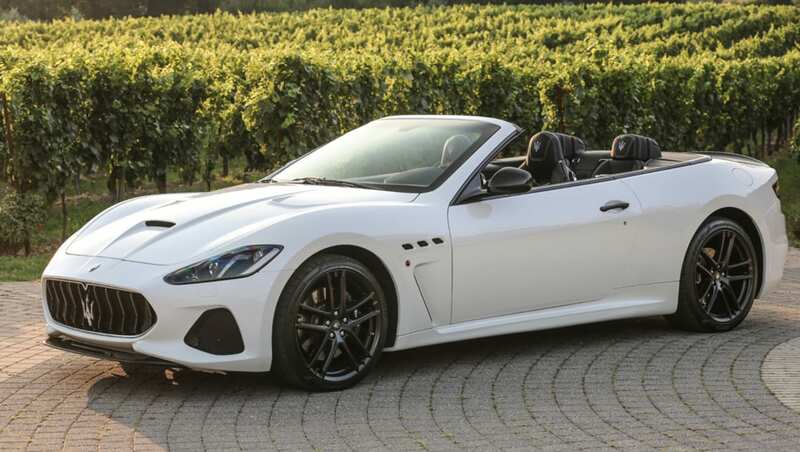 On the inside, the GranTurismo and GranCabrio Sport feature two-tone 'Poltrona Frau' leather upholstery, with the iconic Maserati trident stitched onto the headrests. The MC goes one step further with a mix of 'Poltrona Frau' leather and Alcantara upholstery which extends to the steering wheel, dash and instrument cluster, central armrest, door panels and transmission tunnel pod. Both versions share the same 4.7-litre V8 and six-speed automatic transmission. An 8.4-inch capacitive touchscreen compatible with Apple CarPlay and Android Auto is standard on both variants, so too is a rear parking camera and a harman/kardon premium sound system. 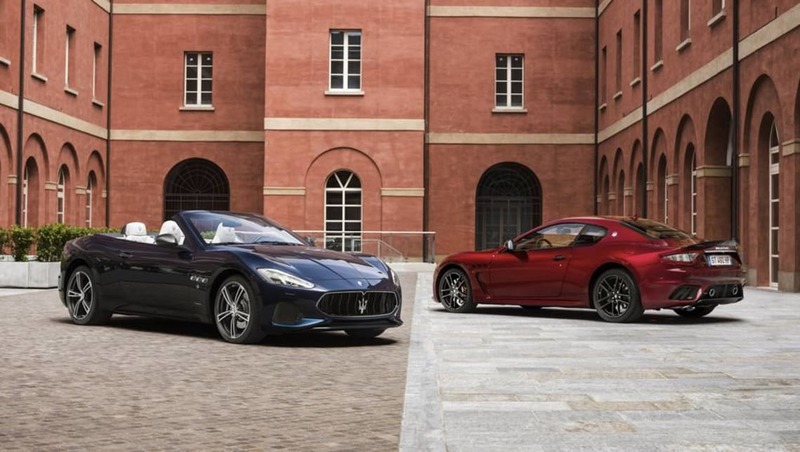 The 2018 GranTurismo and GranCabrio are available with eight interior colours and five interior trim options, including carbon-fibre, 'Black Piano' and 'Walnut Briarwood'. On the inside, the GranTurismo and GranCabrio Sport feature two-tone 'Poltrona Frau' leather upholstery. Both models carry-over the Ferrari-designed 4.7-litre naturally aspirated V8 engine that produces 338kW of power and 520Nm of torque. This translates to a 0-100km/h sprint time of 4.7 seconds in the MC and 4.8 seconds in the Sport. 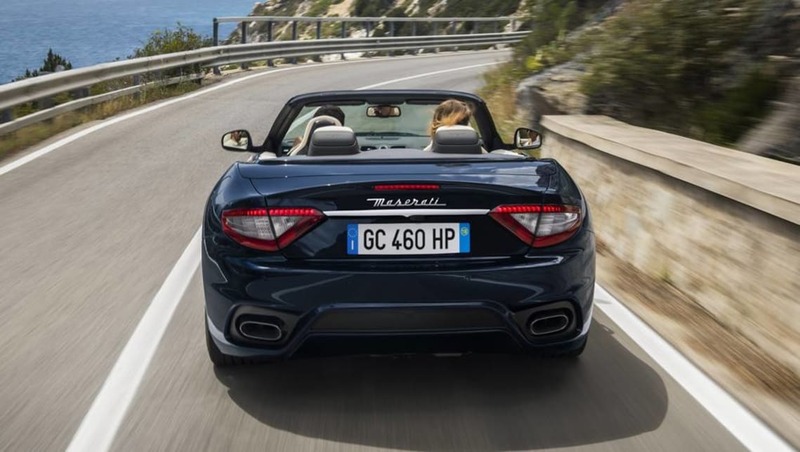 Do you prefer the GranTurismo or the drop-top GranCabrio? Tell us what you think in the comment below.